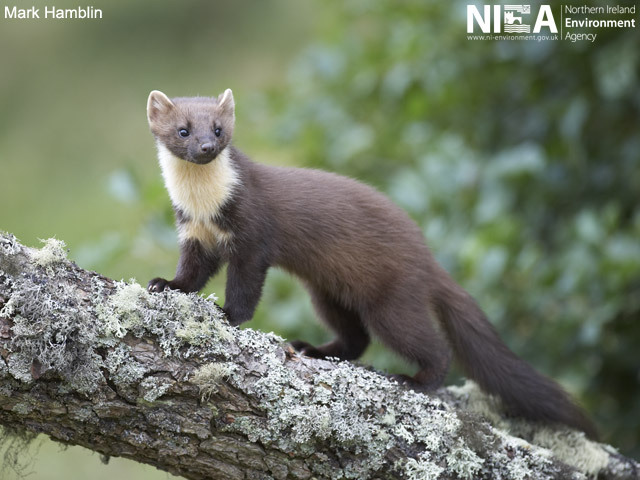 In Northern Ireland the distribution of the pine marten appears to be increasing however we lack the baseline information about their presence particularly in areas outside of County Fermanagh which has been a stronghold for some years. 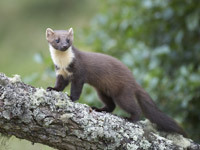 We are interested in the relationship between pine martens and grey squirrels as there is some tentative evidence that suggests that higher densities of pine martens lead to lower densities of grey squirrels which can allow red squirrels to recolonise areas from which they have been evicted. Pine martens (Martes martes) are shy members of the weasel family, which are about the size of a domestic cat. They are chocolate brown in colour with a creamy yellow throat bib, this bib may be used to identify individuals as the markings are variable. 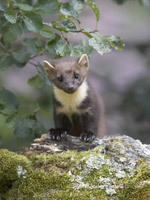 The pine marten and several other members of the Marten family are found throughout most of central and northern Europe. The pine marten was once heavily persecuted due to its fondness of domestic and gamebird eggs and it is now considered extinct from most of England and 95% of Wales. Their last remaining UK strongholds are Northern Ireland and Scotland, they are also found across the Republic of Ireland. 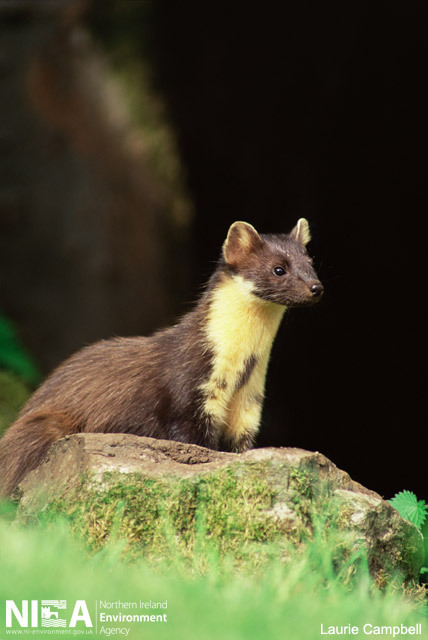 They favour well wooded areas where they can nest in hollow trees and old animal homes. 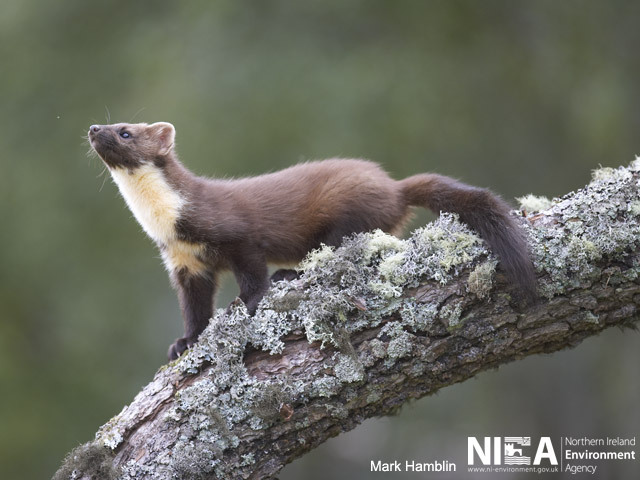 Pine martens eat small mammals, ground nesting birds and their eggs and seasonally available produce such as autumn fruits, nuts and berries. 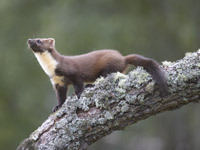 They are also excellent climbers and can leap from tree to tree in pursuit of squirrels.